Morag and Rhona are respected researchers who have made important contributions to our understanding of the cognitive processes involved in learning to read; both have a background in teaching and education, and both have had significant impact on policy and curriculum decisions at a national level. This broad experience and huge knowledge base is felt throughout the book. So many things make this book special. It oozes respect for reading. For the very complexity of what we do when we read; for the children who are faced with the challenge of learning to read; and for the teachers who have the difficult job of guiding children through. It doesn’t shy away from complexity. Hundreds of papers and books are cited. A more patient person would count them, but suffice it to say the bibliography runs to 18 pages. Despite this breadth, there’s depth. Morag and Rhona don’t shy away from controversies. They discuss difficult issues in a way that is thorough, clear, fair and reasoned. As well as providing information, the book showcases how to evaluate evidence. It’s scholarly yet accessible. It discusses at length both word-level reading and reading comprehension. There’s no either or here. Both are vital. It emphasises that oral language skills are at the foundation of learning to read words and learning to comprehend text. It explains the processes involved in reading and why this knowledge is critical, not just to academic researchers, but to everyone charged with teaching reading. They argue that understanding how these processes work, and why they are important, is key to effective teaching practice. It’s practical. While not short on theory, it is tightly tied to classroom practice throughout. The book is divided into four parts. Part I provides a tutorial overview of essential knowledge about language, and in particular, the orthographic system that characterises English. The framework for the entire book is introduced, the Simple View of Reading, the conceptual framework recommended by the Rose Review into the Teaching of Early Reading. This is not to say that learning to read is simple. Or that teaching children to learn to read is simple. The two dimensions of language comprehension processes and visual word recognition processes capture many complexities, complexities that need to be appreciated. Part 2 is about reading words. We learn about skilled word reading and how this is different from beginning word reading. This identifies what children need to accomplish to become more skilled and from there, what needs to be taught. There’s careful consideration of phonics, going beyond any ‘manual’ type account. A range of questions are discussed, including what type of phonics should be taught, whole class vs. small group vs. individual teaching, and whether decodable texts should be used. Morag and Rhona end this part by fondly reflecting back to the “uncomplicated diagram of the simple view” presented in Part I; the realities are of course more complicated, once one asks questions about what each dimension actually represents. This book embraces some of the complexities presented by the research literature and helps us identify a path through. Part 3 turns to understanding of spoken and written language. We are guided through the components of language – morphology, syntax, vocabulary – so that we can understand the processes that underpin reading comprehension. Once again the coverage shows impressive breadth and depth. Part 4 considers assessment and intervention. Here, both word reading and reading comprehension are considered. We are encouraged to think about what should be assessed, and how. I particularly enjoyed the chapter on teaching children with reading comprehension difficulties. Comprehension is massively complex, drawing on a range of cognitive and linguistic skills, interacting across a rich, nuanced spoken language knowledge base. By pinpointing what processes are needed for reading comprehension, multiple well-targeted teaching strategies can be developed. 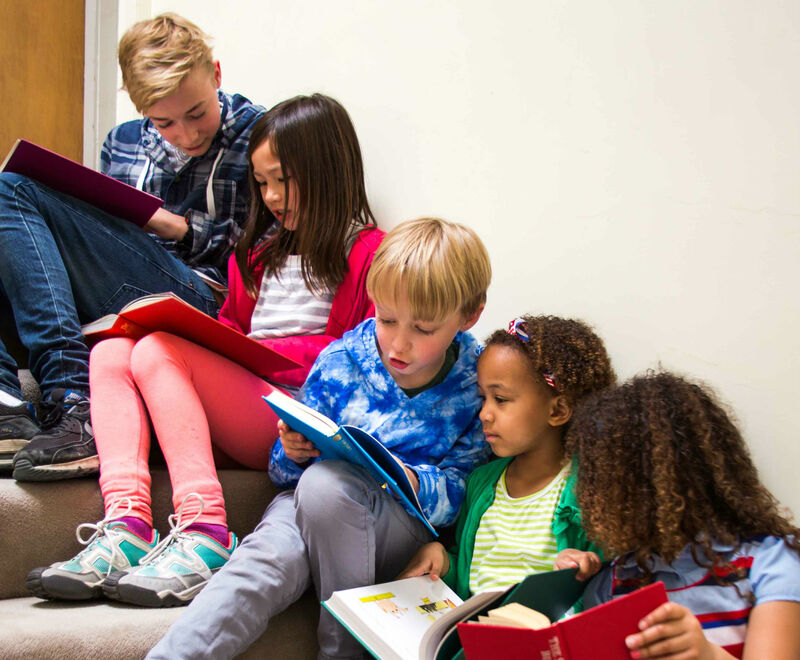 They describe programmes for children with reading comprehension difficulties, such as the York Reading for Meaning project, but note also that such methods are good for teaching comprehension to all children. Is there anything not to like about this book? In my view, no. For sure, there will be quibbles along the way as for some topics, the evidence base is not yet conclusive and people reading the book might have different leanings. That’s as it should be, given where we are at. There’s things I would like to learn from Morag and Rhona – about writing and spelling, and more about children who don’t have English as their native language. There’s always more things that could be included in a book about reading development – cultural context, fostering creativity, literary reading and so the list goes on. But there is only so much space in one book. And this is a book targeted at the nuts and bolts of learning to read and within that remit, its range is considerable. Some might find the book less useful as it is about learning to read English, and it’s based around the curriculum currently in place in England. Clearly though there is much here for those interested in other alphabetic languages, and for the teaching and learning of English in other educational systems. Morag and Rhona’s final words to us: We hope we have provided enough reliable, evidence-based information to allow you to begin to understand what lies beneath the miracle of reading and its development. My final words to Morag and Rhona: You have. I’ve learned a lot and I am sure everyone who reads your book will too.